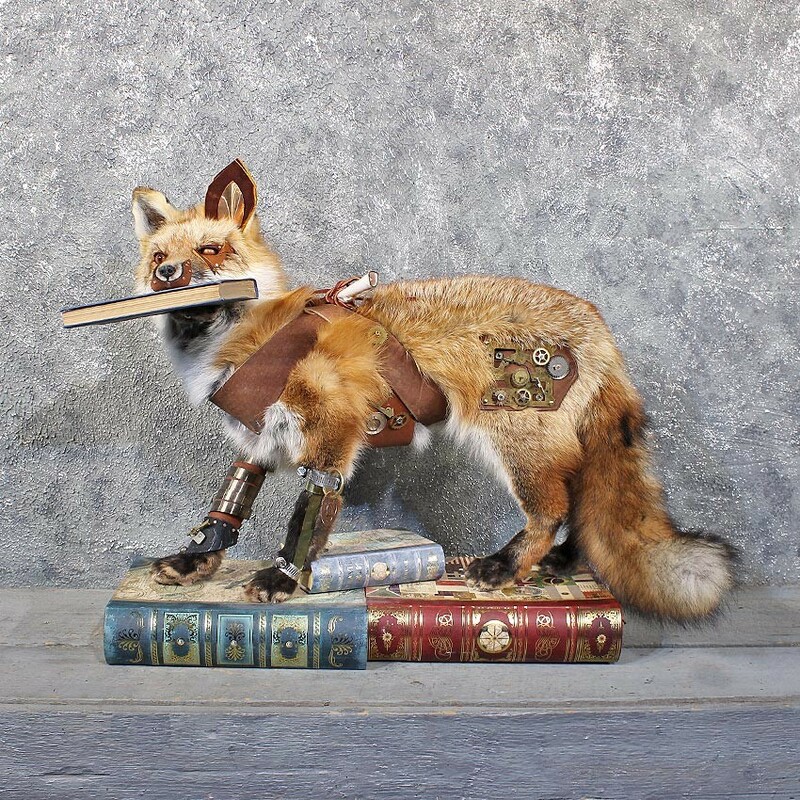 For sale is a neat Legendermy™ Steampunk Red Fox life size taxidermy mount. Part of our Legendermy™ Series, this fox is posed in a standing position with the head upright turned to it's left looking out into the room. 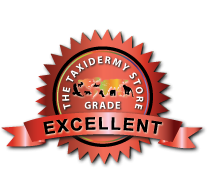 The taxidermy, hide, hair color and design are all very nice on this fox, earning our Excellent™ overall quality rating. All applicable dimensions are included to help ensure this item will fit within your intended display space. - This item is designed to be placed on a flat surface. The cunning red fox can be found in mountains, forests, grasslands and deserts all over the world. They are solitary hunters who feed on rodents, rabbits, birds, and other small game. Like it’s namesake, the Red Fox sports a beautiful golden-red coat, and has a large, bushy tail used for insulation during winter months and also for signalling other fox from a distance.